I wrote His & Hers Relationship Do's & Don'ts to expose the most common, silently abusive relationships and to teach both men and women how to avoid them. Using all too real scenarios, I call out obvious red-flag behaviors such as addiction, physical abuse, emotional abuse, and adultery, but I also highlight lesser known signs of relationship trouble, including indications that a potential partner is interested only in a one-night stand. Tamara Rene' Neal creates a stunning psychology of relationships that will guide readers and listeners in making the right choices when it comes to making relationship choices and handling their partners. The narrator, Adrienne White, does an awesome job, capturing the humor, the art of storytelling, and the powerful points of this book in a voice that is clear and hypnotic. This is one of the best things to listen to while driving, a book that is packed with wisdom and insight on relationships, giving readers the tools, they need to make sound judgments in relationships, to know where to focus their energies and what to avoid making a relationship work. Although there are no clear-cut rules in relationships, there are the basic and fundamental principles to work with and this author offers them to readers with style. His & Hers: Relationship Do's & Don'ts is loaded with real life facts and scenarios, and readers will enjoy the wonderful prose, the entertaining stories, and the humor. 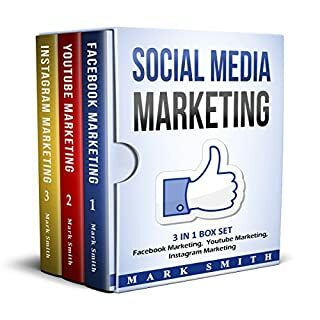 You'll learn a lot from this audio book and you'll also be hugely entertained. 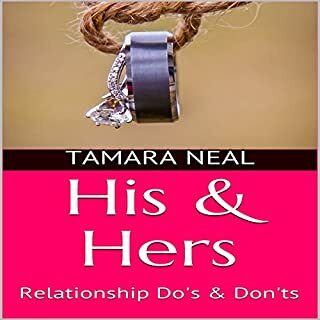 Originally requested by her male clients, His & Hers: Relationship Do's & Don'ts by Tamara Rene' Neal is a breakthrough guide for both men and women to spotting unhealthy relationship behaviors. I appreciated the author's candor as she walks the reader through the most common abusive relationships and how to heal from them. This book addresses these issues, empowering the reader and enlightening them. I was duly impressed with the author's insight. This book is truly helpful, written in a pleasant, down to earth style that warmly draws in the reader, inspiring trust and internal forgiveness for being dumb enough to fall into the mind trap of a psycho. If I had started my adult life with this book, it would have prevented a lot of grief and self-doubt. The narrator, Adrienne White, is very gifted; pulling the reader into each story and engaging them with her charming voice. I highly recommend this book to anyone embarking on the journey to find love. This book is a must for the naïve, especially young adults. Neal addresses a host of issues and offers a no-holds-barred look at warning signs and a pattern of red flags with real scenarios, assisting those who gravitate towards abusive partnerships in breaking the cycle. The tone is concise and conversational, with frank dialogue that personalizes Neal's message in the necessary "polite but firm" tone required when compelling individuals to change course and avoid future connections that revolve around abuse, addiction, infidelity, and destruction. His & Hers by Tamara Rene' Neal was like a breath of fresh air in a noxious relationship environment. In the age of hook-ups facilitated by dating apps, and a generational divide that underscores the need for balance between old world courtliness in a new world of casual encounters, Neal covers the pitfalls of "settling" for, as she brilliantly describes, a "narcissist in shining armor." If you want a solid, healthy relationship, she makes it clear that the foundation has to be established - first and foremost - by you. From there, the building begins with the careful creation of a life that has all the right structure for a relationship that is strong, steady, and safe. I loved this book and the positive message that will absolutely resonate with both men and women and recommend it to everyone who is looking to be a good companion to a partner who is also worthy of them.